One of the main decisions when booking a chalet holiday is whether you want to stay in a catered or self catered ski chalet. 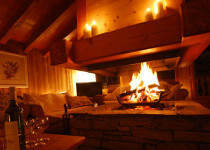 A lot of skiers and boarders prefer catered ski chalets as it allows them to relax at the end of the days skiing. The convenience of a catered chalet means that you have more time to enjoy your ski holiday. 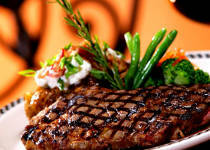 Why worry about preparing dinner or cleaning the dishes. With catered ski accommodation you have more time to spend on the pistes and can chill and let yourself be pampered in the evening. Catered chalets are a great way to enjoy a ski holiday with family, friends or colleagues. Why worry about preparing dinner or cleaning the dishes. With catered ski accommodation you have more time to spend on the pistes and can chill and let yourself be pampered in the evening. Catered chalets are a great way to enjoy a ski holiday with family, friends or colleagues. At allChalets we have ski chalets of all sizes and in all locations. From intimate and friendly traditional chalets, to luxury chalets with exclusive high end features. We even have big ski chalets suitable for large groups of family or friends. When you book a catered chalet your ski holiday comes complete with delicious home-cooked dishes and excellent service. If you have a big group then you can book the complete chalet for your private usage. For smaller groups we also have listings that allow the chalets to be booked per room. What to expect from a Catered Chalet Holiday? Reception of on arrival - sometimes bubbles !!! Breakfast on 7 days - will usually consist of both hot and cold options. Some chalets will also offer the option of packed lunches to take with your onto the slopes. Afternoon tea on 7 days - coffee and cakes when you get back from skiing. What a great way to review the days skiing in front of a roaring fire. Evening Meal usually 6 out of 7 nights. Many chalets will include free wine during the evening meal. Most chalets have a staff night off and for that evening you will be provided with details of local restaurants that you can reserve. Of course if a catered chalet is not what you are looking for then you might like to check out our range of self catered ski chalets. We offer a wide range of ski chalets to suit all budgets and destinations.